if you can enroll here there is still space! $300 per week and a once per summer, per camper $50 registration fee (registration is per camper, not per week). Choose one week, two weeks or all six! Camp hours are 8AM-2PM with extended care available daily until 6PM (extended day is $25/day, or $100 week additional). Camp is designed for ages 5-14. Campers are grouped by age in smaller groups with individual counselors. 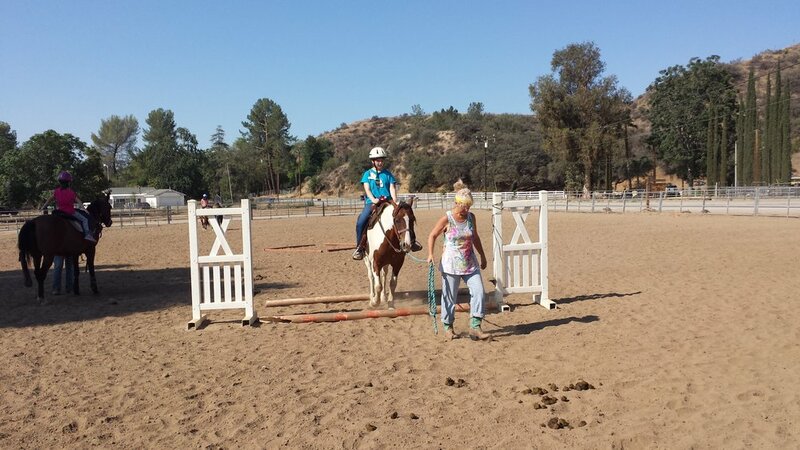 Counselor in Training group for 12-14 year olds includes a leadership component, more advanced riding program and activities geared for older kids! Early Bird Camp - Monday June 3-Friday June 7. Join us for this special Early Bird Camp offered for homeschoolers and other students that are available the first week of June. Beat the heat and experience an early summer version of our traditional Summer Farm Camp. Early Bird Camp is offered for $325 for the week long session and is only available June 3-7. Horse care, grooming, riding and an end of the week horse show! Learn how to groom, tack up, and ride horses or enhance your current riding expertise by trying something new. End the week with a super fun horse show (with ribbons and prizes) for your friends and family to enjoy! New this year---Intermediate and Advanced Horsemanship. For kids who already ride, either with us or elsewhere, we have added a horsemanship component to help get you to the next level. Milk goats, gather eggs, pet pigs and bunnies, feed the ducks and tortoise, enjoy the horses and take the mini mule for a walk! Gather some fresh vegetables and fruits from the garden. and prepare a farm fresh snack. Watch eggs hatch and learn to care for chicks! Make goats milk ice cream. Country Arts & Crafts galore! Soap and candle making, leather working, rag doll making, and wood working. If enrolled in multiple weeks, new crafts will be available to try each week. We are adding basic sewing and fiber arts to the craft schedule this year! GAMES! Milk jug bowling, horse shoes, corn hole, water balloon battles, tug o war, gunny sack races, and more! Water play-squirt gun obstacle course, mud run & more! 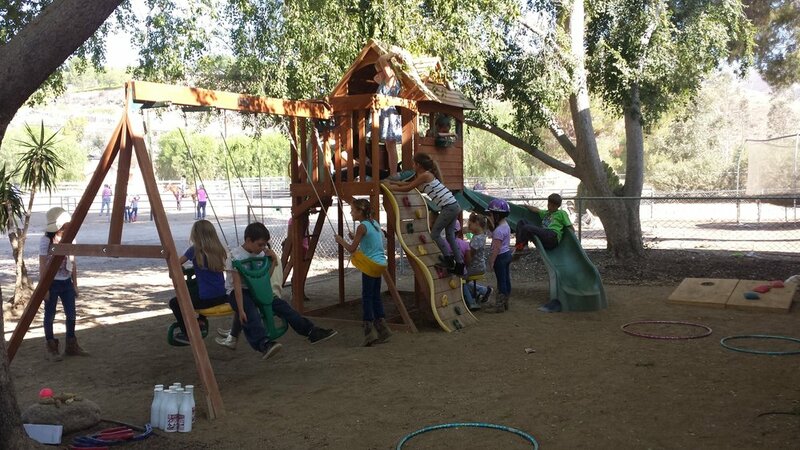 8:00 -10:00 Horse care, grooming, safety, games, fun and lots of riding! 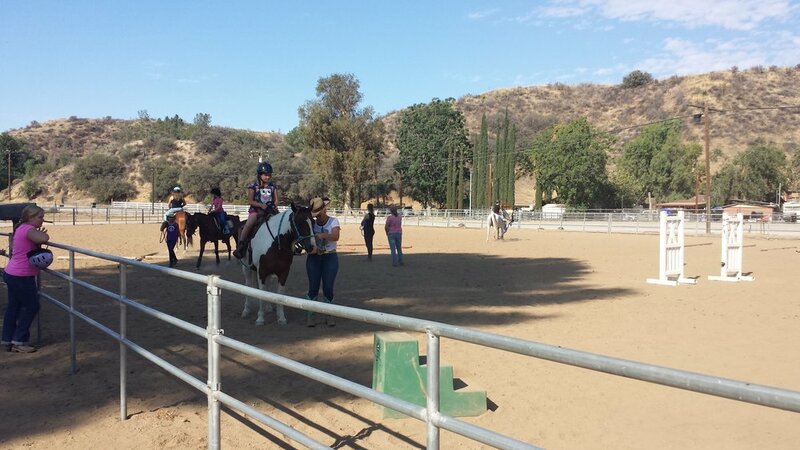 Riding students are assessed and placed into appropriate groups for their skill level. More advanced riders are welcome, first time riders are welcome! 10:00-12:00 (Snacks) Goat milking, petting zoo, egg gathering, animal care and fun with animals! 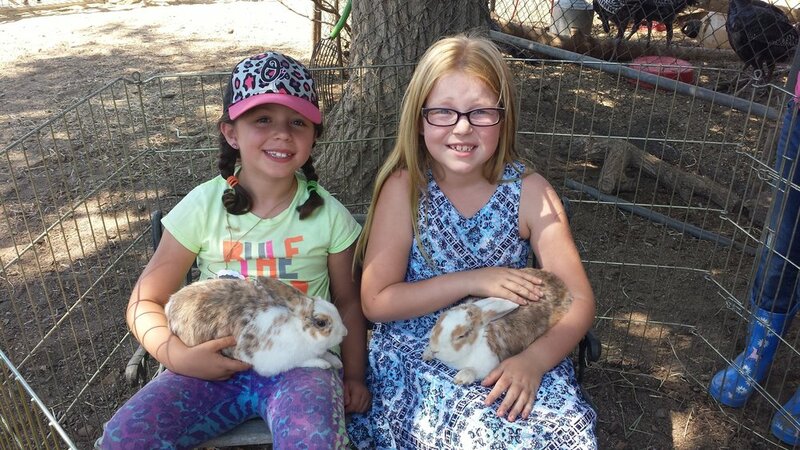 Holding chicks, brushing pigs, learning about life on the farm, trying out new adventures! 12:00-2:00 Lunch, gardening, games, arts & crafts! Water play, obstacle course, team building, snow cones and more. Each week we end the week with an awesome horse show, to give kids a chance to show off what they have learned and to give parents a chance to see their children's excitement and pride! The horse show is a real highlight of camp and everyone is invited. Lunch (hand to counselor on arrival, we'll be checking everyone off to make sure no lunches get left behind). Snacks for picky eaters. Camp is suitable for children age 5 and older. All campers need to wear closed toed shoes, a sun hat, sun screen and bring a refillable water bottle and lunch. Snacks and more drinks are provided. The day is scheduled to limit heavy sun exposure, provide breaks, and drink plenty of water. Mini Farm Camp is made just for our smallest friends-age 2-4. Just like our regular Farm Camp, we groom, learn safety and get to ride! For our mini program-we use pint size ponies. There are songs, games, frequent snacks and breaks. 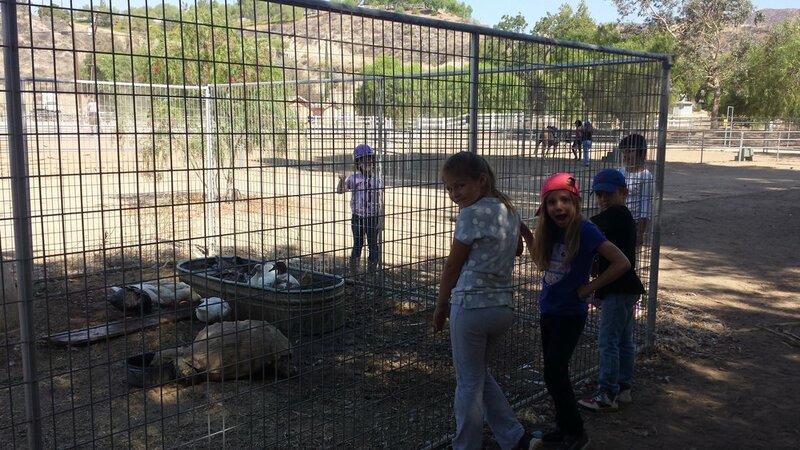 We milk goats, gather eggs, pet and feed ducks, chickens, turkeys, pigs, bunnies, a giant tortoise and more! Our crafts are just like the big kids-but geared for our littlest friends. We decorate horse shoes, stamp leather, and make dolls! Designed as a drop off camp or "stay and play". All drop off children must be completely potty trained.